Home Tags Posts tagged with "Sydney Festival"
The Sunset Sessions run every night during the Blak Box – Four Winds season at the Blacktown Showground Precinct. Listen to live entertainment each night, enjoy refreshments from our donation bar, and grab a bite to eat at the adjacent Groundskeeper Cafe before your session inside Blak Box. Bow down to DJ Black President (aka Leo Tanoi) as he governs the people with his unique blend of hip hop, soul, funk and electronic vibes – specially curated for the Blak Box – Four Winds experience. Emma Donovan returns home to Blacktown to uphold the Donovan family tradition of great music and sublime song with her uncles. 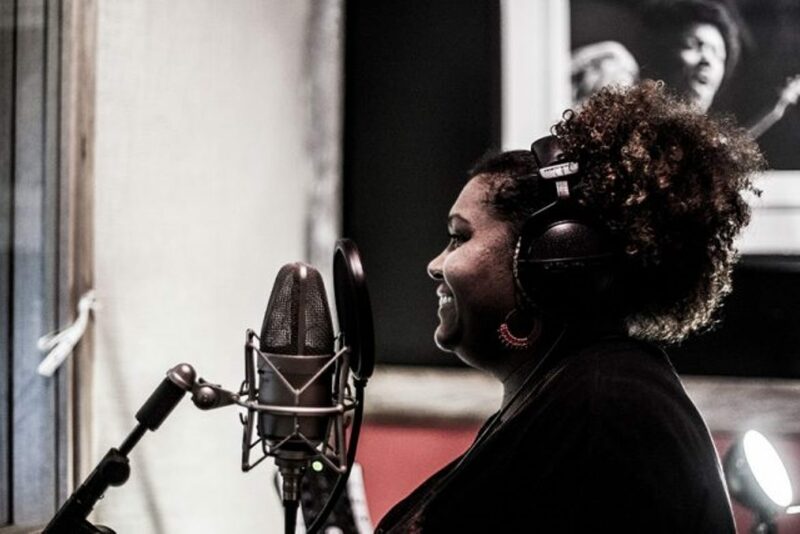 At just 11 years of age, Montanah Grace is known as “the little girl with a big voice.” Hailing from Penrith, Montanah will blow you away with her beautiful ballads. with Kevin O’Brien, Linda Kennedy and Daniela Hromek, facilitated by curator, Daniel Browning. Join this panel of maverick First Nations designers and architects who are paving the way with their culturally informed and inspired practice. Join resident composer Eric Avery and his friends as he combines violin, loop pedal and song to express his Ngiyampaa, Yuin, Bandjalung and Gumbangirr traditions. Sharna Power and Luis Jimenesd-Lobolo from Evans High School perform their own indie songs with special guest artist Montanah Grace. Join a conversation with Uncle Wes Marne, Aunty Edna Watson, Savarna Russell and Shaun Millwood, facilitated by Four Winds curator, Daniel Browning. Emma and Eric have created something really special with their new compositions for Blak Box – Four Winds. Join them for this special one-off performance. The Blak Box Sunset Sessions are proudly supported by Blacktown Arts, and Suzy Wolanski and family. Emma Donovan. Photograph by Ceasar Rodrigues. With mounting anticipation we are transported by bus from The Leo Kelly Blacktown Arts Centre to St Bartholomew’s Church in Prospect, the site of the evening’s performance of Broken Glass. It’s VIP night, so a good number of Blackfellas are in attendance for the maiden event, a roving performance installation throughout the chapel and grounds. After a smoking ceremony held by local Elder Uncle Wes Marne, we walk single file into a small hall which looks like the ideal spot for girl guides or scouts to learn and earn their merit badges. Except our leaders are dressed in spare white smocks and, instead of pledging an oath of allegiance, they greet us with commiserations. An Aunty has died. We become a part of an extended family assembled in remembrance. counter claimed. Before all is lost, the escalating tension is broken by the distracting absence of a beloved budgie, Nathan. As the three women reconcile, a lone figure enters dressed in a purple floor-length colonial skirt. She clutches a round case close to her chest, individually taking us in before asking for something to drink, or perhaps a morsel to eat. As she leaves, she beckons us to follow her. This woman will be represented by each actor in turn as we are guided to each site. We later learn she is a Darug woman, although she could be the ancestor of many urban Blackfellas, forced into the fold of colonial culture. nical treatment processing of the morticians’ rooms, where the mix of responsibility and revulsion is expressed through prose peppered with equal measures of procedural jargon and personal anecdotes. From the church to the grave site, we are gradually immersed into a multifaceted cultural experience of loss, where the ecclesiastical and spiritual are articulated in equal measure. digenous primer ensuring perpetuity for the next generations to utilise, as well as a work of entertainment. Broken Glass stands as a poignant testament to the ways in which Aboriginal culture has adapted. The lighthearted opening is a clever device and before you know it you are embroiled. Invested. The tables have momentarily turned and it is the general public who are taken into the fold. Performer Andrea James wide-eyed stare of pious incredulity as she makes a self righteous bid for the microwave while the body lay directly behind in a wicker casket. Karen Norris’ lighting in the church creating an all-encompassing stained-glass effect as dancer/performer Katie Leslie moves with steady solemnity. 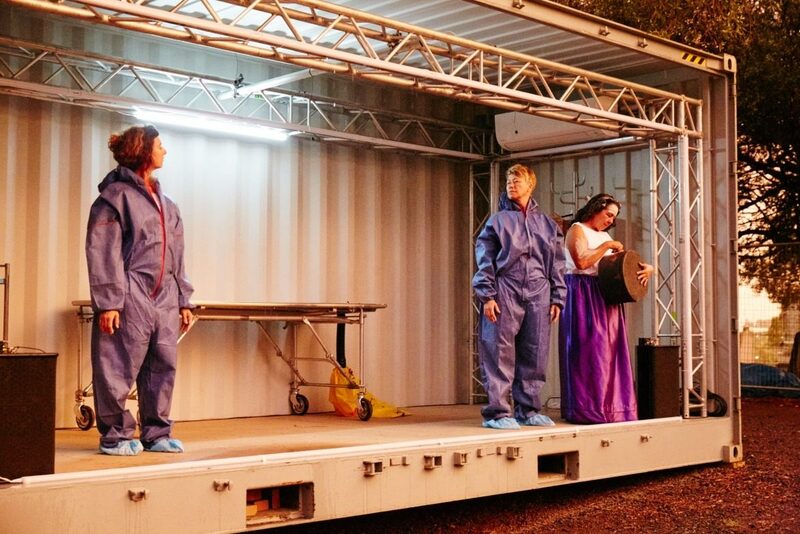 The unfolding tableaux (also in the church) reminiscent of Australian modern dance pioneer Margaret Barr’s women in Hebridean Suite, which begins with the four women as they process through the bracken mound installations and ending with their colonial selves looking prophetically to a future filled with bustling automation as they faced the motorway. The broken glass memorial plots that twinkle like jewels. The curious mourning head pieces which prompt us to contemplate the event with fresh eyes, as if from another planet. Lily Shearer’s haunting wail for lost souls in the recessed alcove filled with funeral programs attached to the walls followed by the town’s elders affectionately clutching the same notes, and the discovery that they are/were comprised of deceased loved ones. The lighting on the trees accompanied by a sound score by Brenda Gifford that makes them appear like witnessing spirits, making sure that we are practicing right-way. Broken Glass was presented by Moogahlin Performing Arts and Blacktown Arts for Sydney Festival 2018. Presented by Moogahlin Performing Arts and Blacktown Arts for Sydney Festival. ‘Broken Glass’ is a powerful installation and performance work that illuminates the rituals of death and mourning in New South Wales and Victorian First Peoples communities. 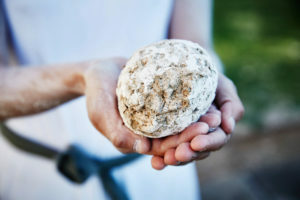 Key artists Lily Shearer, Liza-Mare Syron, Aroha Groves, Andrea James and Katie Leslie occupy St Bartholomew’s Church and Cemetery in Prospect – Darug country – to create an intimate, enlightening and moving experience. 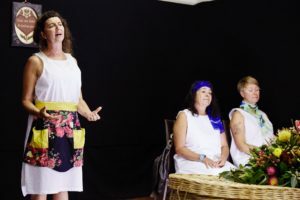 Founded in 2007, the Redfern-based Moogahlin Performing Arts develops, produces and presents new work, and nurtures a new generation of First Peoples arts practitioners locally, regionally, and nationally. Blacktown Arts is a recognised leader in the development of contemporary arts in Australia, committed to exploring dynamic, culturally diverse work that reflects Blacktown, its history and its communities. Note: Images of deceased First Nations people are contained within this performance. Note: The site contains uneven surfaces. Please wear comfortable shoes. Note: This show has a complete lockout. Please arrive 15 minutes early as latecomers will not be admitted. For those who have purchased tickets to the world premiere of ‘Broken Glass‘, there is strictly no parking on site at St. Bartholomew’s Church and Cemetery. A free wheelchair accessible shuttle bus will transport patrons from The Leo Kelly Blacktown Arts Centre to St Bartholomew’s Church prior to each performance. The shuttle bus has a limited number of accessible spaces if you have any accessibility requirements, please call Blacktown Arts on 9839 6558. Please note that images of deceased First Nations people are contained within this performance. Please also note that the site contains uneven surfaces. Please wear comfortable shoes. Visitors are also invited to tour the project installation at the St Bartholomew’s site on Thursdays and Fridays during the performance season. A bus will transport visitors from The Leo Kelly Blacktown Arts Centre at the times outlined below. 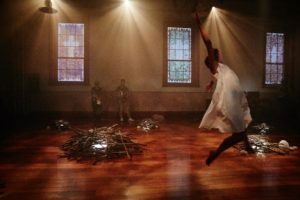 Blacktown Arts, Moogahlin Performing Arts and Blacktown City Council present the world premiere of Broken Glass – a powerful installation and performance work – as part of Sydney Festival 2018. Told from a women’s perspective, Broken Glass illuminates the rituals of death and mourning in New South Wales and Victorian First Peoples’ communities through memory, surrogation, lore, customs, the secular, the sacred, and myth. The work will be staged for an intimate audience on Darug country at St Bartholomew’s Church and Cemetery, an historic site in Blacktown. Key artists Lily Shearer, Liza-Mare Syron, Brenda Gifford, Andrea James, Aroha Groves and Katie Leslie will occupy the church and cemetery to create an intimate, enlightening and moving experience. Broken Glass will be staged at St Bartholomew’s Church and Cemetery in Prospect from 11 – 21 January 2018. 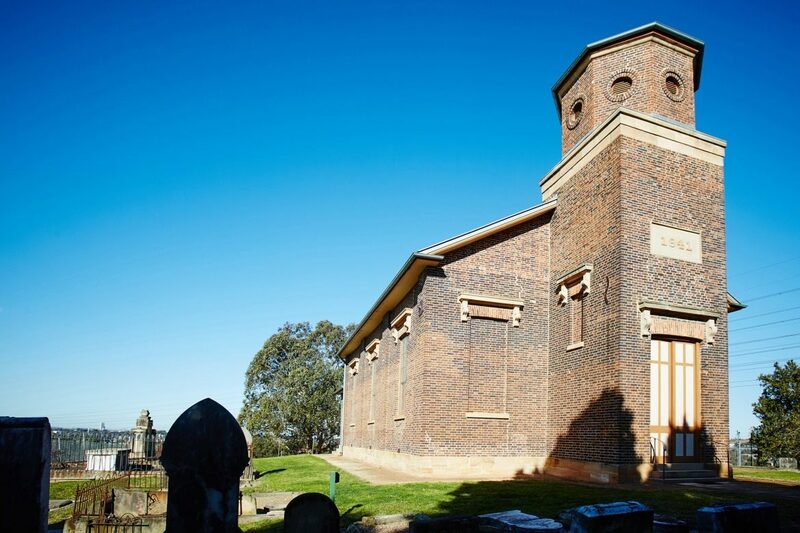 St Bartholomew’s Church and Cemetery is located on Darug country. The church, which opened in 1841, was the first church built in the Prospect area. Maria Lock, an important figure in Darug history, and explorer William Lawson are buried at St Bartholomew’s Cemetery. There is no parking available on site at St Bartholomew’s Church and Cemetery. A free shuttle bus will transport patrons from Blacktown Arts Centre to St Bartholomew’s Church. A timetable will be available here in November.